Heathrow Airport is one of largest and busiest airports in the world. It serves thousands of passengers travelling to and from the United Kingdom and Europe. The airport has five terminals with two runways. The airport serves over 180 destinations in 85 countries, with the airport servicing over 80 airlines on a daily basis. Here is a guide to one of the busiest airports in the world. - How early do I need to check in at Heathrow? As with most of the major airports, you should receive check-in instructions from your airline to ensure you arrive at the airport at a convenient time. This is to ensure you go through the necessary checks and make sure you are not late for your flight. Most of the airlines will require you to be at the airport between 2-3 hours before your scheduled flight. If you are looking for convenience, then you can choose 581 Travel Taxi Services for your Heathrow Airport transfers. This is because we know how to navigate the airport and you can be sure to arrive at the scheduled time. 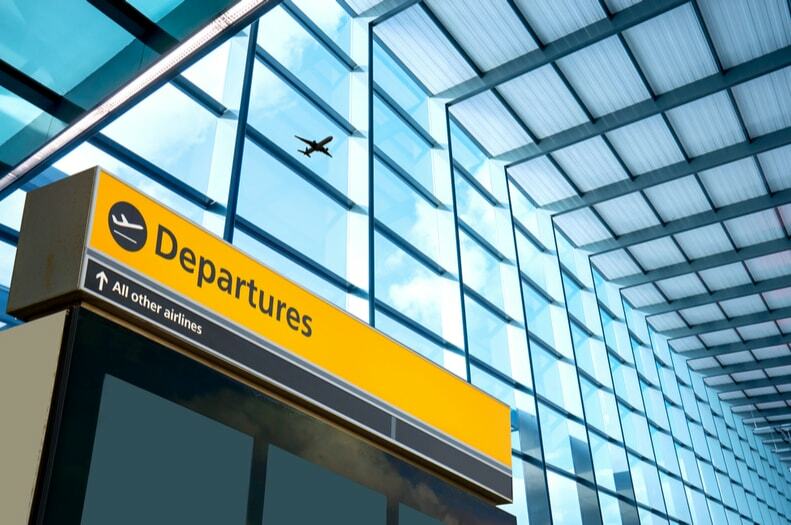 - How long for arrivals to get through at Heathrow airport? For arrivals to get through at Heathrow Airport, you should expect at least 30-40 minutes. However, this will depend on the arrival of the airline. At the airport, information screens will display the flight status of the airline. You will be able to see the expected arrival time of the aircraft, when it lands, and when the luggage is being checked. - Which terminal will I be using at Heathrow airport? Heathrow Airport initially had five terminals. However, since the closure of terminal 1, the airport now has four terminals. Terminal 2 and terminal 5 deals with international as well as domestic flights. Terminal 2 hosts the most number of airlines. Terminal 3 mostly deals with long haul flights to destinations such as Asia, the United States, South America and some destinations in Europe. Terminal 4 also deals with long haul flights to European Destinations. Terminal 5 is mostly occupied by British Airways and Iberia. To find which terminal you will be using, check with your airline. When looking for Heathrow airport transfers, you should choose a services that offers convenience, safety, flexibility and is also cost effective. This is why we recommend you use 581 Travel Taxi Service for your transfer needs through Brighton, Luton, Heathrow, Gatwick and Stansted areas.